WHAT: CoDA – Center for Digital Archaeology is a non-profit company affiliated with the Anthropology Department at UC Berkeley. We are now in our second successful year of digital archaeology and data sustainability projects. WHY: We are organizing this event to introduce ourselves to the UC Berkeley community. We welcome you to come visit our labs, meet our staff, enjoy some refreshments, and see live demonstrations of projects related to our two main products: Codifi and Mukurtu CMS. Codifi is a comprehensive database solution used to collect, manage, and harmonize data and media. In the last year we have enhanced archaeological projects using Codifi in Turkey, France, California, Israel, Australia, Ethiopia, Jordan, and Hawaii. Mukurtu CMS is a free and open source content management system built with indigenous communities to manage and share their digital cultural heritage. 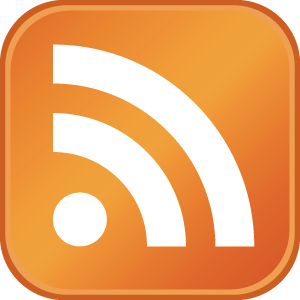 It is currently being used by various organizations worldwide. ADDITIONAL DETAILS: This is a casual affair so feel free to dress comfortably. We will be providing light snacks, sparkling water and wine. There is street parking available on Piedmont and Bancroft Avenue, as well as several parking garages nearby. Please RSVP and send any questions to Cinzia Perlingieri. 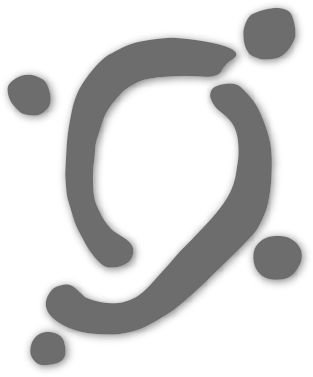 Codifi’s key to effective data management is the dynamic integration of disparate internal and external data sources into one trustworthy place, “a single source of truth” that enables information to be correlated across data sources. Once disparate data sources are integrated, you are able to quickly find, enrich, re-purpose, and share information with all your peers. 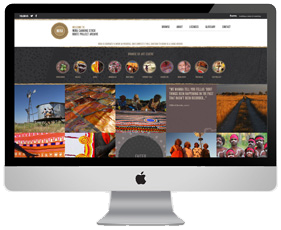 Mukurtu CMS is built from the ground up to addresses the specific concerns of indigenous libraries, archives and museums and the diverse digital collections they manage and seek to preserve. Mukurtu CMS is a free and open source content management solution allowing communities to preserve, share, manage, license and curate their digital heritage. Mukurtu allows users to manage their digital heritage materials using international standards as well as their own local cultural protocols. This unique intersection provides indigenous communities with both a stable and upgradable tool to manage and share their digital assets and a platform for preservation and growth of their distinctive materials. Mukurtu promotes a community approach to digital heritage management and preservation extending the already embedded social and cultural systems of indigenous communities to their technological tools. 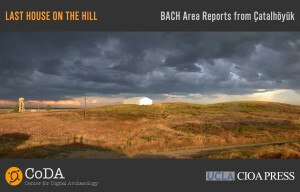 Last House on the Hill is the digital multigraphic mirror of the printed monograph of the same name (published by Cotsen Institute of Archaeology Press of UCLA) that is the final report of the Berkeley Archaeologists at Çatalhöyük (BACH) project, in which a team from the University of California at Berkeley excavated a group of Neolithic 9000-year old buildings (1997-2003) at this famous cultural heritage location in Central Anatolia, Turkey. The digital edition of Last House on the Hill is a product of CoDA using our creative Codifi engine. It does much more than provide a digital presentation framework for publishing an archaeological monograph; it embeds, interweaves, entangles, and otherwise relates the complete project database (including all media formats such as photographs, videos, maps, line drawings as well as data analysis and interpretation) with the final synthetic contents held in the printed edition in an open access, sharable platform. For this project CoDA created a customized CMS for the Canning Stock Route project, powered by Mukurtu CMS 2.0. We’re processing more than 40,000 unique cultural heritage items that are being added to the Mira system. The Project team is focused on the development of innovative and sustainable digital solutions for the repatriation of this content to the 17 remote Aboriginal communities involved. Using CoDA’s best practices born archival workflow, we work with the FORM team to create and embed rich metadata into their digital heritage items. This workflow has been handed over to the FORM team, empowering them to continue enriching their database. Data mining is integral to the project, with thousands of relations being discovered between people, events, artifacts, media, all of them now becoming accessible through the rich content navigation experience on the portal. “Collaborative Stewardship: Providing Sustainable Digital Heritage Training for Tribal Libraries, Archives, and Museums” is a three year partnership among Washington State University, the Association of Tribal Archives, Libraries and Museums, the California Indian Museum and Cultural Center, and CoDA, the Center for Digital Archaeology, at the University of California Berkeley. The project will provide: 1) yearly hands on training workshops, 2) a national online digital workbench registry to connect tribal archives, museums and libraries with key resources, 3) sets of online resources and web-based tutorials that cover the lifecycle from digitizing to curation, sharing to preservation, all grounded in international standards based protocols as well as the incorporation of tribal cultural values and needs into the process, and 4) a “stewardship kit” that will include a set of guidelines to enhance the video tutorials and a clear step-by-step process detailing the stewardship models. These infographics and multimedia materials can be accessed and downloaded for local stewards to create and implement their digitization and preservation plans. Mukurtu Mobile is a free app that integrates with Mukurtu CMS, designed with the needs of Indigenous communities. Mukurtu Mobile combines the usability and social appeal of a micro-blogging application with Mukurtu’s granular control over content storage and cultural protocols. Members of a Mukurtu powered archive can collect digital stories and places of interest on their iPhone that include images, descriptions, categories and protocols, and determine precisely which communities will have access, can comment, download and reuse. Mukurtu’s higher purpose is to allow communities to collect, manage and share digital content in their own terms, using cultural and sharing protocols they define. Mukurtu Mobile brings this fine grain self management to a ubiquitous mobile platform. The app was made freely available on the Apple App Store in October 2012, and won the highly competitive NEH Digital Implementation grant to build Mukurtu ][ Mobile in 2013-15. Northeastern State University’s Project I’M READY will provide a comprehensive and holistic approach to educating school librarians to promote and perform positive educational change. This program will not only educate new school librarians in critical competencies, it will also provide the profession with targeted K-12 curriculum, resources, and information literacy tools to sustain the efforts of all school librarians who serve in similar communities across the nation. CoDA will be producing a dedicated online and archival CMS where the content, curriculum and related media can all “live” and be accessed in culturally appropriate ways. This work will provide a solid base and infrastructure for the sustainability of NSU’s Project I’m Ready ensuring that the content, curriculum and collateral materials are re-usable, scalable, preserved and accessible to a diverse range of stakeholders. Between 1993 and 2006, Meg Conkey’s Between the Caves project focused on recovering Paleolithic traces across a landscape of some 260 square km in the foothills of the French Central Pyrénées. Collecting data primarily on paper forms, with associated photos and maps, the open air survey recovered more than 6000 artifacts and produced a detailed inventory for more than 3000 artifacts in an Access database. CoDA has adopted the digitization of the project’s media and is associating other site and artifact specific data such as photos, maps, GIS results, digital terrain information, artifact densities per site, etc., into a single relational archive for the iPad, powered by Codifi. For excavators and specialists, Codifi delivers the true potential of archaeological databases! In the Jezreel Valley Research Project, the field teams believed in Codifi and the CoDA workflow so strongly that after a month they eschewed paper field forms altogether in favor of our iPad data collection system. The JVRP project has grown from 3 sites (Tel Megiddo East, Kefar O’thnay [Legio], and Ein el-Jarba) to now encompass the entire Tel Megiddo area, and Codifi has grown with them. In addition to standard archaeological data, the JVRP is able to capture geo-tagged photos and videos directly from the trenches onto their iPads. This media is seamlessly integrated into their field reports that are generated live by the Codifi database engine. 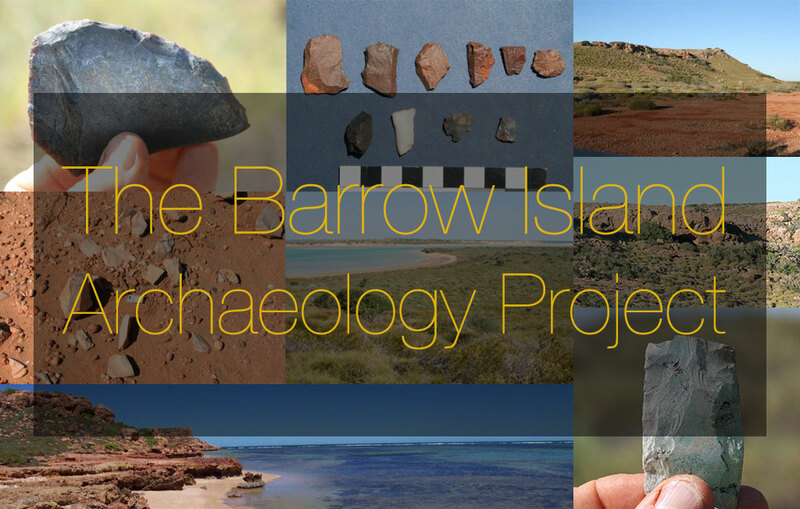 At 7am in BIAP Camp on any fieldwork day, the historic, excavation and survey teams meet for logistics before splitting up to explore and document the immense archaeological record that is the 202 km² Barrow Island. Working around an active oil field and without access to cellular technology or power, the three teams embark each day and collect an astonishing array of high definition images, video, geo-coordinates, notes, and archaeological data. All told, each season will yield hundreds of thousands of individual data records totaling numerous terabytes that must be securely preserved and managed, from morning pre-check to end-of-day backup and through post-season analysis, archiving and publication. As ambitious as this may sound, the real challenges are not only technical. The goal is to develop a unified methodology for BIAP, harnessing the expertise of the diverse team without limiting creativity or tried-and-true practices to a single ‘way’ of digitally doing fieldwork. We’ll look under the hood at the Codifi data model and how we’re working together to build a system that fosters best practices in digital data management while encouraging conversations through real-time sync and revolutionary ‘born archival’ workflows.